We bring the poor, spiritually bankrupt and/or financially destitute into a safe environment, providing immediate shelter while entering earnestly into learning skills necessary for the restoration of their entire being. Lambscroft is a group of people who believe that Jesus is among the poor, broken-hearted, cast-out, rejected, unloved, hopeless and houseless. We are not from one particular church, denomination or civic group. We are the church in all of its expressions! Form 990 is available upon request. Brett Swayn was born in Perth, Western Australia. He came to the U.S. in 1991, settling in Austin, Texas, to pursue a promising music career. His search for God began in earnest many years later, and he understood he was called to go to Nashville. So, on March 19, 2002, he left the life in Texas for the call in Tennessee. What wasn’t foreseen was that Brett was to spend the next four months living on the streets of Nashville, experiencing the heartache, alienation and desperation of homelessness. He calls this period “the hardest, most beautiful time of my life,” because he experienced a closer walk with God and came to understand the sufferings of a marginalized people of America. Through a series of what he calls “miracles,” he was offered a job at Fleming’s restaurant, where he worked his way to sous chef and traveled around the country training others in culinary arts. At the same time, he felt called to address the physical, emotional and spiritual needs of the homeless community. Over time he felt drawn to a life of simplicity. He left his position at Fleming’s, deciding to devote his life to those in need. Brett’s three-year dream of opening The Cookery is here. In addition to serving coffee and luncheon/dinner foods, it is also a training facility. Here Brett and associates will instill culinary crafts to select homeless individuals in order to prepare them for employment in the food industry. “Through all of this, God has taught us perseverance, resilience, patience and trust,” Brett says. Brett lives in Nashville with his wife Merari Joy Swayn. Together with others, they help manage Lambscroft Ministries and all of its programs. Watch News Channel 5’s OpenLine 2nd interview of Brett Swayn and The Cookery’s role in ending homelessness in Nashville. Hosted by Carrie Sharp, this 5-part video was aired on Wednesday, October 21 at 7pm and discusses the need to end Nashville’s homeless crisis. 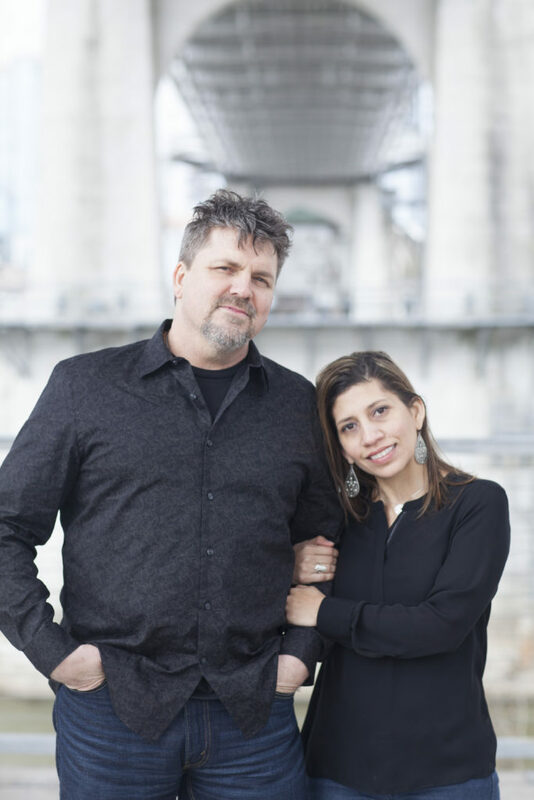 A panel of representatives from different homeless outreach organizations are represented in this interview, including The Cookery’s Brett Swayn, who discussed how community is vital to the sustained healing of people coming out of homelessness. The cookery cooks up hope, alongside a selection of burgers, salads and more! 13 culinary students have graduated from the program. All were formerly homeless. Breakfast is served at Downtown Presbyterian Church to up to 200 homeless each week. Two discipleship houses offer a safe place for culinary students to live & grow in community. Twice a week, ServSafe Certification is taught at the local prison. The community food pantry is free & open to the public. Monthly movie nights showcase a culinary student with a 3-course meal. 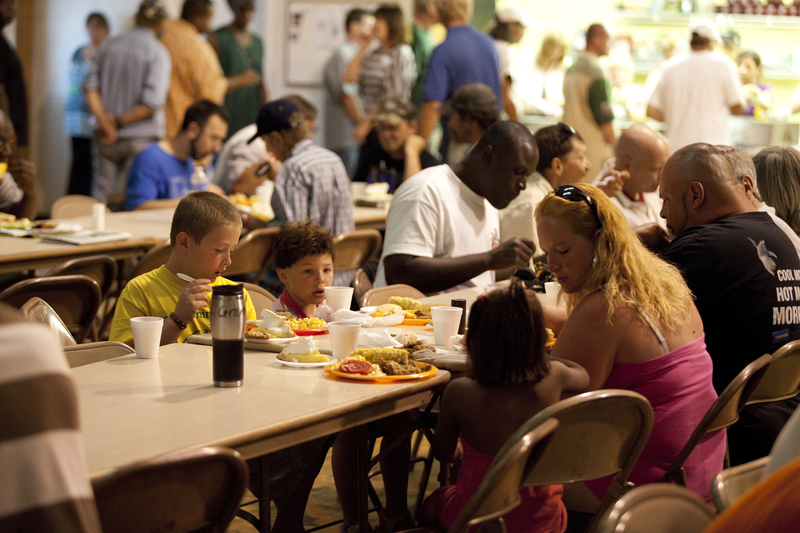 Thanksgiving and Christmas dinners feed up to 350 people! In the winter, assistance with cold weather shelters is offered. Our one request: give of your heart. We have found that what is most effective is heart-to-heart relationship with our friends. Invest your heart in one life – the returns are eternal. © 2016 Lambscroft. All Rights Reserved. Project by Zion Eye Media.